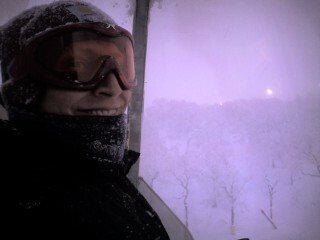 the Keitai Goddess : Skiing! Ash in a lift around dusk. Great snow today! Powder everywhere! !